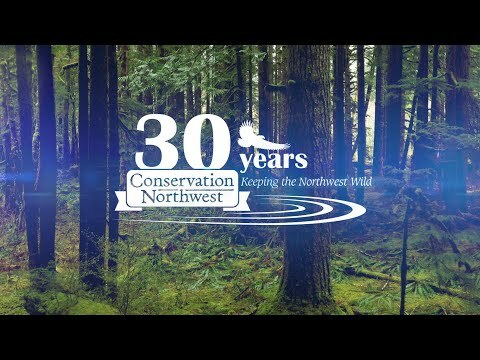 Conservation Northwest is the sole owner of the information collected on this site. We only have access to/collect information that you voluntarily give us via email sign-up, direct contact forms, and online donations/purchases. We do not sell or rent this information to anyone. We will use your information to respond to you regarding the reason you contacted us, to process donation or purchases, and to send correspondence that you have specifically signed up for or requested to receive. We will not share your information with any third party outside of our organization, other than as necessary to fulfill your request, e.g. to ship an order. Change contact preferences, including unsubscribing from all or certain emails. While we use encryption to protect sensitive information transmitted online, we also protect your information offline. Only employees who need the information to perform a specific job (for example, processing gifts or customer service) are granted access to personally identifiable information. The computers/servers in which we store personally identifiable information are kept in a secure environment. We request information from you on our online donation and order forms. To donate to or purchase merchandise from us, you must provide contact information (like name and billing/shipping address) and financial information (like credit card number, expiration date). This information is used for billing purposes, to process your donation, and/or to fill your order. If we have trouble processing an order, we’ll use this information to contact you. We do not directly collect “cookies” on this site. We do, however, utilize standard Google Analytics services to track the number of new website visitors, return visitors, and the length of time you spend on a particular page within the website. Other information such as screen resolution, computer operating system, language, and browser type will be utilized one time to automatically format our website to the optimal display based on your device. Learn more about Google Analytics at this website. We may use an outside vendor to ship orders or send mail, and a credit card processing company to bill users for gifts, goods, and services. These companies do not retain, share, store or use personally identifiable information except for the purpose of providing these services. This website contains links to other websites, including social media platforms. Please be aware that we are not responsible for the content or privacy practices of such other sites. We encourage our users to be aware when they leave our site and to read the privacy statements of any other site that collects personally identifiable information.